I don’t use facial cleansing wipes. Well, not on my face that is. I might have tried using them out of curiosity but they’re never a part of my skincare arsenal. No, not even occasionally. The idea of using facial cleansing wipes just doesn’t sit well with me. Even a half-hearted attempt to wash my face still beats using a face wipe hands down. 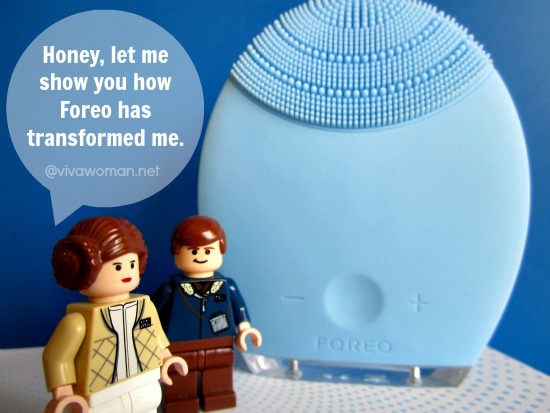 Yet, it seems like many ladies like to use facial cleansing wipes and I can see why. They are widely available, convenient to use, and easy to dispose. But they’re really not the best for your skin and here are five reasons why. If you’ve tried using a facial cleansing wipe before, you’ll know that you’re basically removing your makeup, dirt, oil and even dead skin without rinsing them off? No matter how dirty the wipe looks, some of the gunk are still left on your face. How about double cleansing with your facial wipes? Well, this may result in slightly cleaner skin but all that over enthusiastic wiping is just gonna cause your skin more damage. Tip: If you absolutely need to use a facial cleansing wipe, rinse with water immediately after using to remove as much of the gunk and dirty residue from your skin. 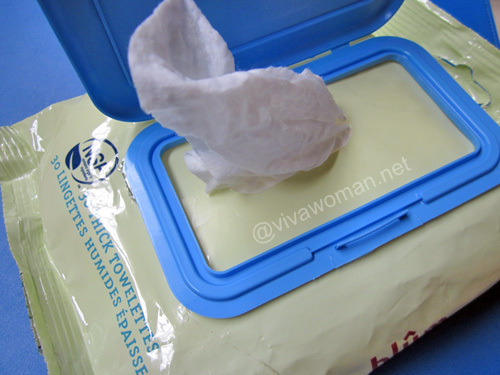 Facial cleansing wipes require chemicals to keep them moist and increase their shelf life. Most wipes are therefore soaked in alcohol or preservatives in high concentration to keep bacteria at bay. In addition, most facial wipes contain surfactants in order to be effective in dissolving make up and grime. Some even contain fragrances. But all these ingredients are harsh and drying when left on our skin since you normally don’t rinse your face when you use a wipe. That is why some people complain of stinging, irritation and dryness when they use a face wipe. 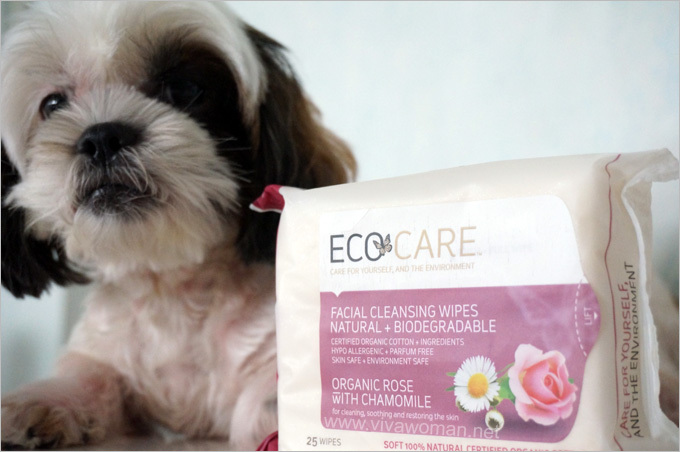 In fact, I experienced much skin irritation with the Ecocare Facial Cleansing Wipes even though it is supposedly more gentle. The stinging was almost immediate! And to think that I don’t even have sensitive skin. So if you have sensitive skin, I suggest you steer clear of facial cleansing wipes as using them could result in allergic reactions. Tip: If you have no choice but to use one, rinse with water to remove those drying, irritating ingredients that would normally be left behind. Many girls use facial cleansing wipes to remove their eye makeup and that’s a totally bad idea! Can you imagine what damage all that rubbing does to your delicate eye area? You’ll probably need to wipe quite hard and long before removing the eye makeup completely too. If you’re using them often enough and have noticed an increased in wrinkles and fine lines around your eyes, you know why now. Tip: If you need to use a facial cleansing wipe on your eye area, try patting the wipe over your skin rather than wiping. 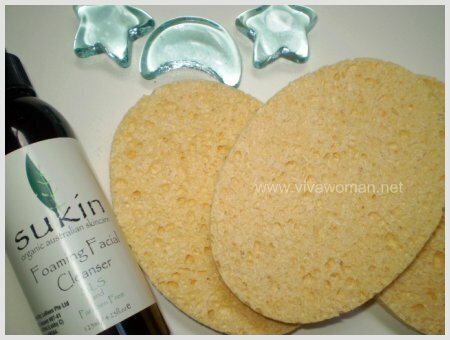 Do you know that your skin care products cannot be effective when used on improperly cleansed face? So since we’ve already established that facial cleansing wipes cannot cleanse your face effectively, using facial cleansing wipes is really doing your skin care products an injustice! Tip: For times when you absolutely need to use a facial cleansing wipe, minimize your skin care routine to use only a moisturizer afterwards. 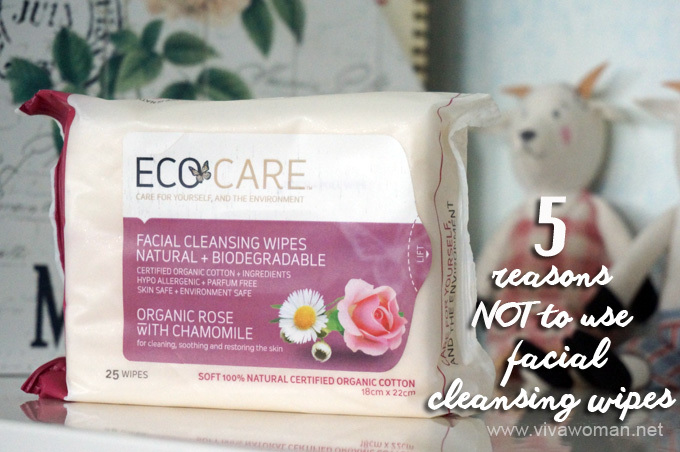 While facial cleansing wipes are easy to dispose, they need to be disposed with the knowledge that they are not biodegradable. Well, there are some exceptions of facial cleansing wipes that are 100 percent biodegradable and compostable but most are not. Tip: No matter how tempting it looks, don’t throw your facial cleansing wipe into your toilet bowl unless you know for sure that they’re biodegradable. Instead, bin them. So now that you know why facial cleansing wipes are not good for your skin, try to avoid them no matter how inviting they look. Seriously, how hard or time consuming is it to just wash your face with a proper cleanser for five minutes? Well, try not to use them frequently if you can. Yikes!! I have used facial wipes on odd times and am planning to use them again on an upcoming weekend away. Thank you for this entry, good timing that I read it now than later. I think I will still use the wipes to remove make-up due to convinience BUT will also bring my cream cleanser along to wash everything away. I think if you use it occasionally, it’s not too bad. But yes, if you can at least wash off after using, that’ll be better. i think these are okay if you’re out camping or living with basic amenities for a while, but they not only don’t clean as well as conventional washes, foams etc., they also do get quite expensive for long-term use don’t they? Agree…not for long term and certainly not daily. I would say if can avoid, that’s the best. I use facial wipes as a makeup remover to remove my makeup, not as substitutes for a cleanser. So is that okay? Like I use to wipe off all my foundation and concealer (I try to be gentle around the eyes), sometimes even use an oil on the wipe to help take my makeup off and then I do a proper cleanse and exfoliation. So do you just mean that they are bad to use as cleansers but perhaps not bad to use to remove your make up?? If you use it as a makeup remover and it doesn’t act up on your skin, should be good. Just check that your wipes do not contain high alcohol contents (not listed as 1st 5) so that it’s not drying in the long term. Why don’t you use oil and cotton pad instead. Lesser of those unnecessary ingredients. I used to use cotton pads but they were more costly and I need a lot more of them. With wipes I just use baby wipes (for sensitive skin, even though I don’t have sensitive skin) and I only need one wipe for my whole face. I buy a pack that has 3 packages of wipes for like $5.00 Canadian. I also dispose of mine in the bin and never the toilet.